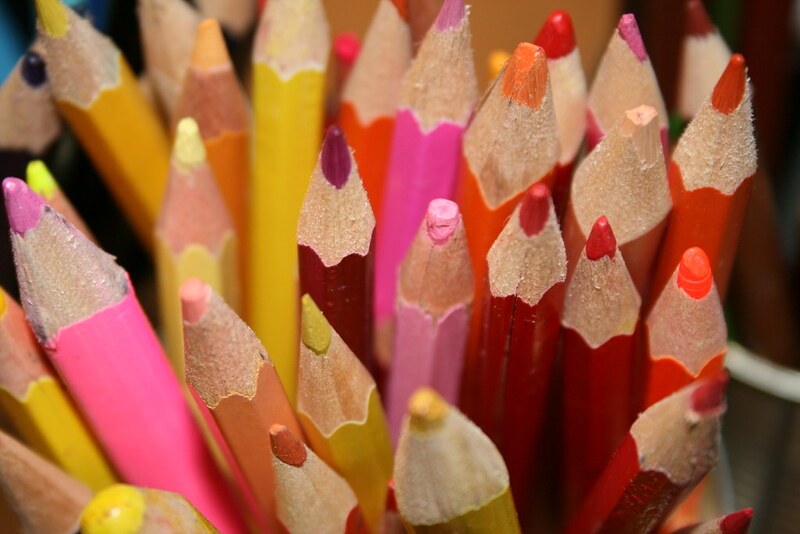 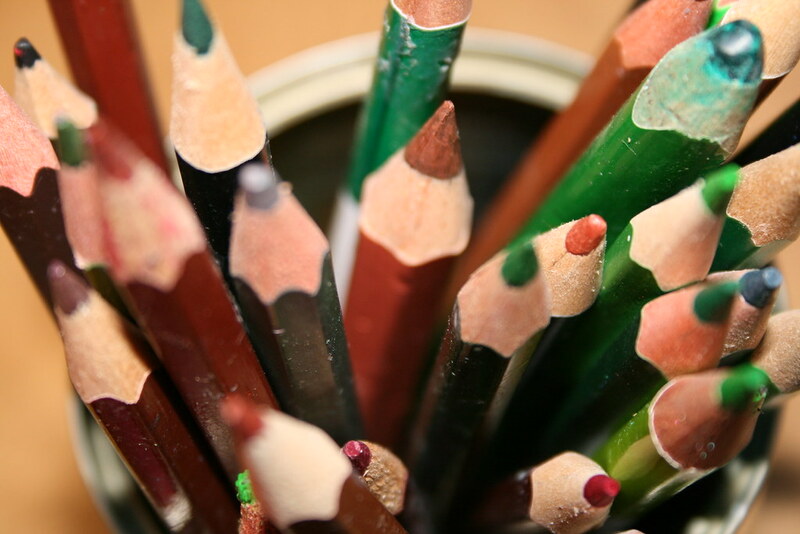 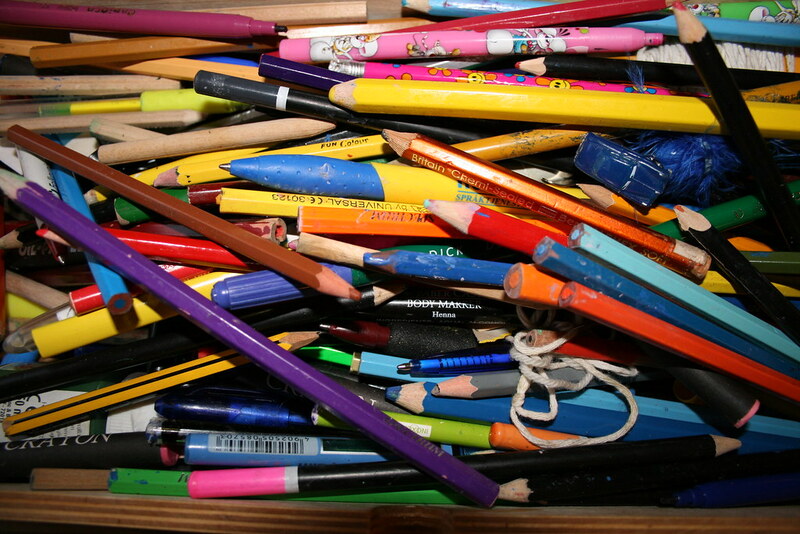 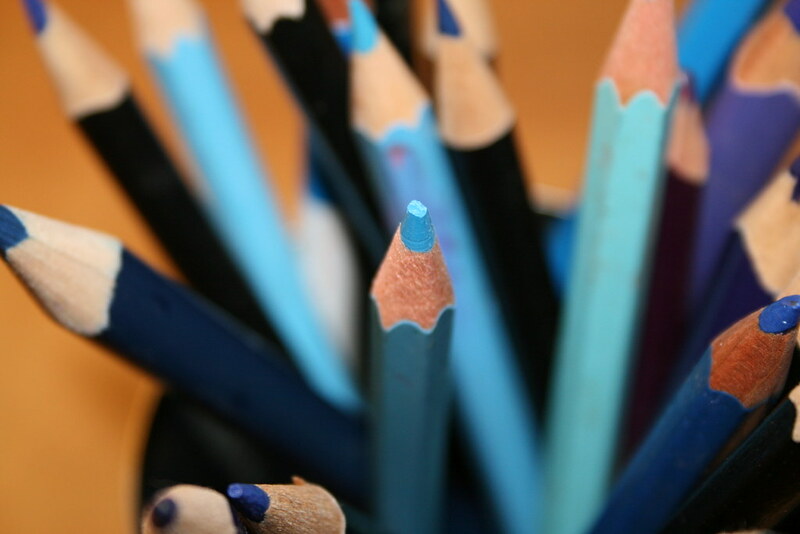 If you have kids then you probably have a drawer full of pens and pencils, some good, some broken. 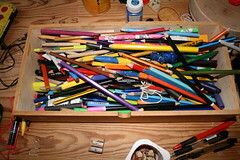 In our house there are pencils spread out EVERYWHERE, I find a few every time we clean the house, and in the weirdest of places. 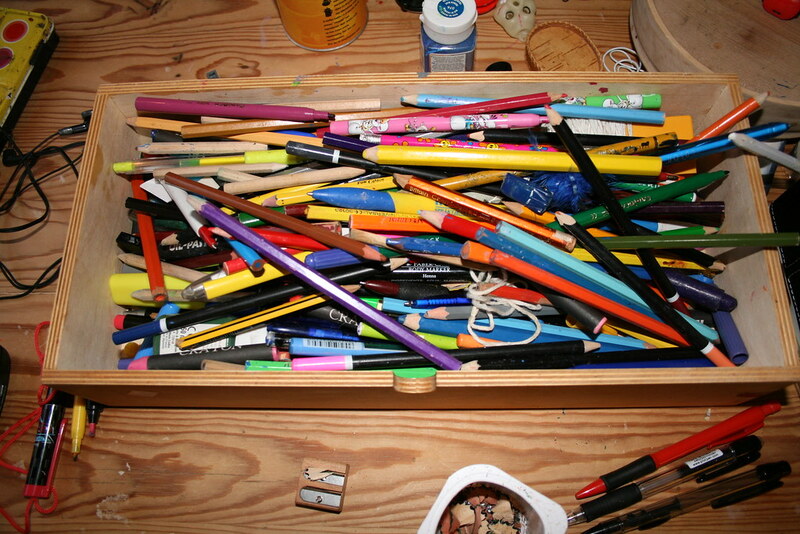 I usually just dump them in this drawer, and pull it out whenever the kids want to draw. 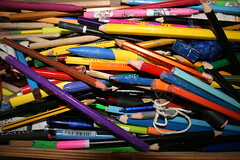 But one day when I was home taking care of my daughter who had the flu, I decided to take stock, sort the broken from the usable, and sharpen them all. 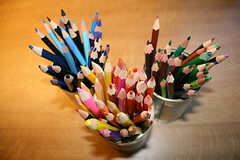 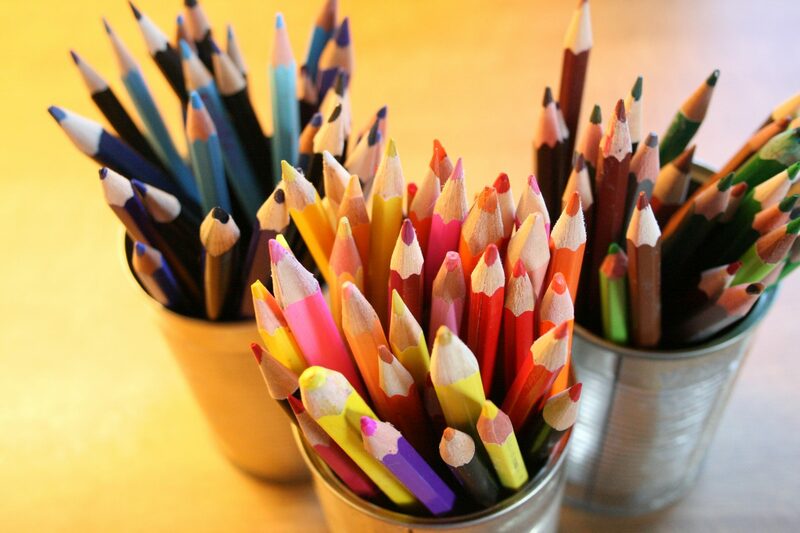 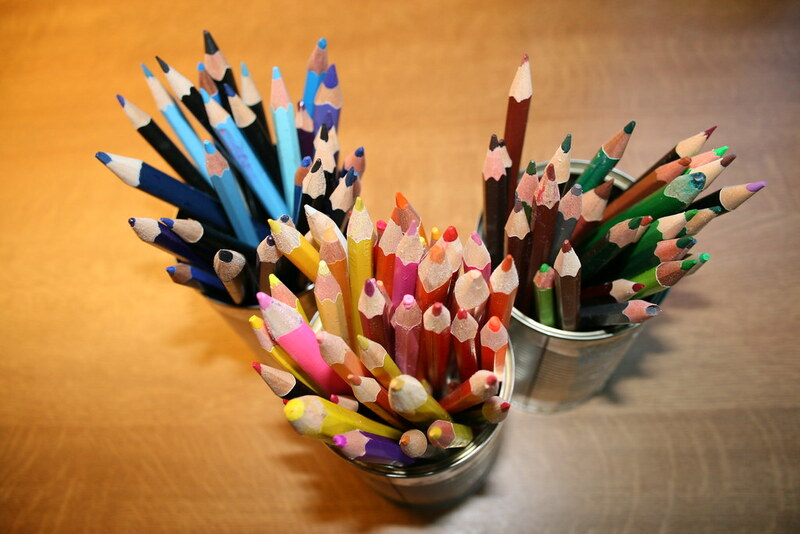 I found some empty tomato cans to put them in, and sorted the pencils after their color family. And lo and behold, would you believe that my three kids has kept this simple system in order for well over a month now! I’m so impressed with them!